Genuine European LED taillights with sweeping turn signal functionality. 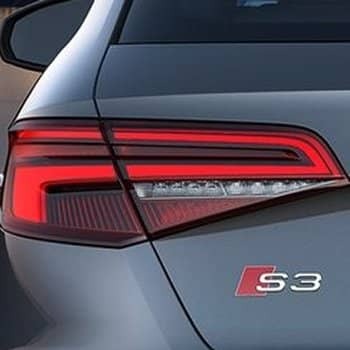 Taillights are combined with the needed components to allow for a seamless installation for all pre-facelift and post-facelift A3, S3, RS3 sportback models in all regions that are not equipped with these taillights. *Note North American models require coding which is included with pricing. Genuine VCDS Hex-Can is required for this coding. Rest of World models do not require coding for installation.